Leaving Cappadocia towards the South-East of Turkey was tough after a few great days with friends and eating out a lot. At the same time we were looking forward to be back on the bike and in our bicycle rhythm. 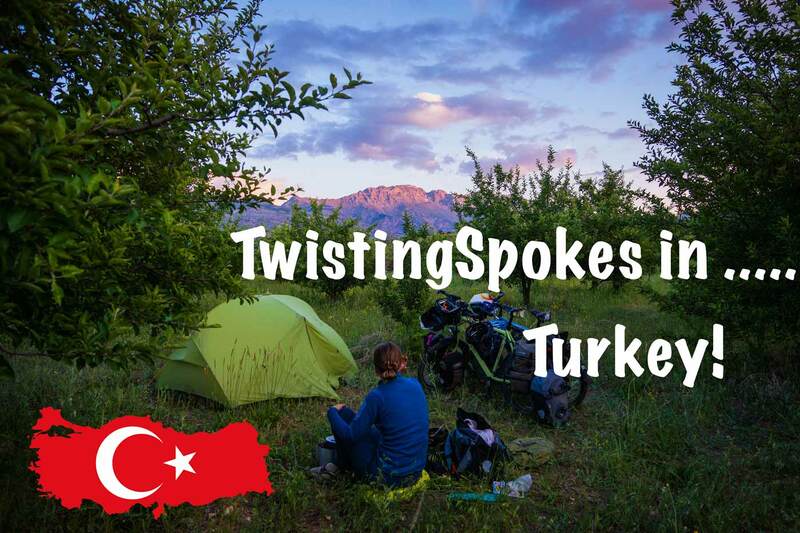 We had been looking forward to first Istanbul, then Ankara for our visa and Cappadocia because of the visit and the area and were now a little bit without a goal. We decided that Mardin in the South East of Turkey would be the next place to spend more time and have our new tires sent to. 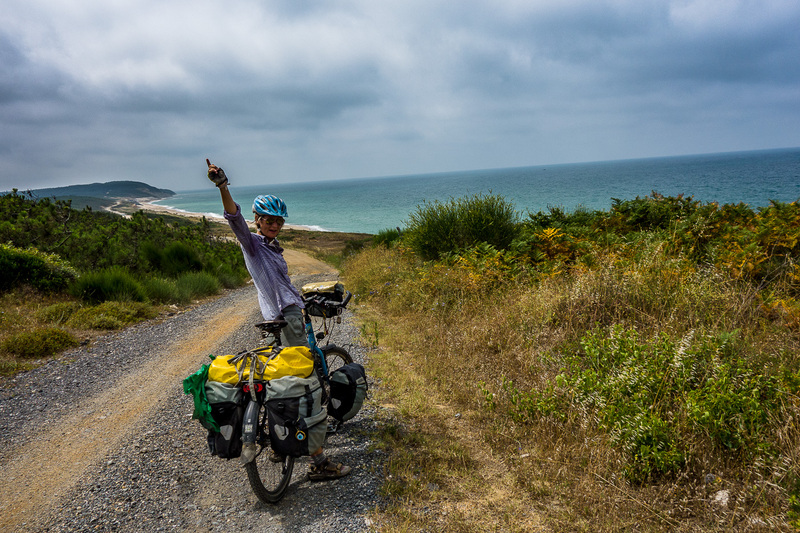 By know we have learned that the big roads of Turkey are easy to cycle, but they do not provide us with enough special moments to keep us interested. They have a big shoulder to cycle on and we go faster, it is also a little boring. So we took small roads over mountains, down valleys, across plains and over mountains again. We were warned for protests of a power plant near Goksun, but what we didn’t know was that our road turned away from the power plant just a few kilometers before, so no worry for us although we had been warned twice and were considering going back. Susanne also celebrated her 31st birthday on the road. We were surrounded by mountains and many small villages so we kept the celebration small. 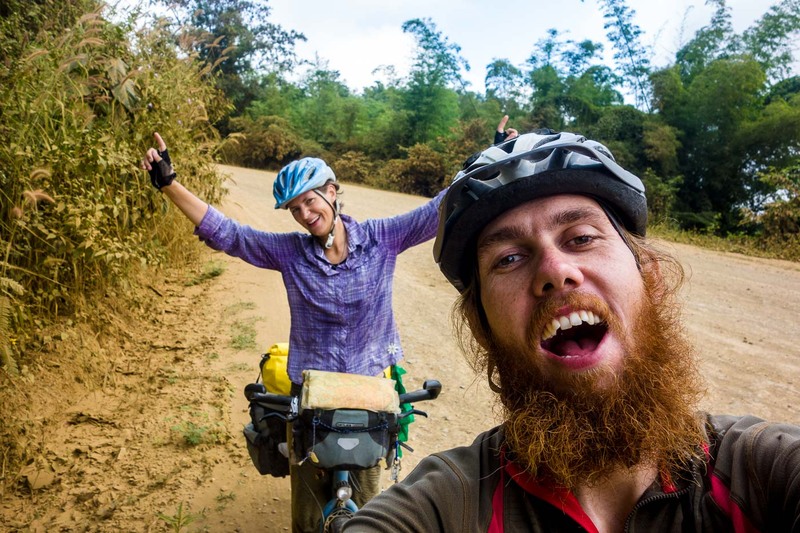 It was very special to cycle up to a pass of 1990 meters on her birthday and after 57 km we decided that it was time to set up camp and enjoy the sunset. We talked with a man passing by and he mentioned we were in a valley with Kurdish villages. This made sense because the feeling was already different. At the same time we were still in central Turkey and weren’t expecting Kurdish villages yet. The good thing of small villages and small roads is that we sometimes get invited from the road. Kayhan from Istanbul was in his village Korkmaz because of a death in the family. He stopped for us at the side of the road and invited us to a very local restaurant of his uncles to have a kebab. It was very nice to talk with him also because he spoke English quite well! We slept on a hilltop overlooking a great valley and amazing mountains. In Malatya we ran into a fellow cyclist who invited us for tea, apricots (the fruit of the city) and a visit to the bicycle shop he was on his way to. Great to have some info on the area and mutual interests. He advised us that we probably could camp at the university just out of town. It had been a great day of cycling and also social connections and we were hoping on some good luck at the uni. Regretfully after sitting, waiting, security calling their boss and him calling his boss etc. they said we could stay at the university hotel 40km onwards. Not a realistic option for us at 19:00 in the evening when it’s getting dark. So little bit angry with each other because of time, we head out again to find a place to sleep. The next day we find the hotel in Kale and ask if we can camp because we (Susanne :-)) are in real need of a shower. They are happy to help but after a while the helpfulness is reduced and we can’t have a shower. We spend the day hanging around feeling useless and might have been better off on the bicycle… Oh well the view was nice and the legs were happy with some rest. We could fresh up a bit and washed our hair under the tap in the sink. From Kale we crossed a pass of 1750m and climbing 1000 meters, in the village Sivrice we met a large group of cyclists from Malatya all happy and helpful. They gave us cookies and snacks for our trip. We cycled at the edge of the lake and it was very busy with Turkish families and youngsters barbecuing and having fun. We cycled onward to find a quiet place for ourselves. Heading on the main road the following day and it was an all downhill. We came across multiple Jandarma posts because we are entering the area where Turks and Kurds live together. We were also heading to the “dangerous” city of Diyarbakir of which we had been warned multiple times. We camped at a picknick area 20km before the city and were invited by a family for tea. Then we had to move because where we were was going to close and were invited by a different family for tea. The first family came to see if we were alright and it was a funny situation. At the end we could sleep where we had started asking and where it hadn’t been possible at the start. But we should look out for snakes if we wanted to camp in the grass… No snakes seen? A funny evening with two guys taking care of the place and chatting with us. We had a few hours of looking around in Diyarbakir and were pleasantly surprised by the feeling. We sat at the Dangbej house listening to music of traditional Dangbej singers. 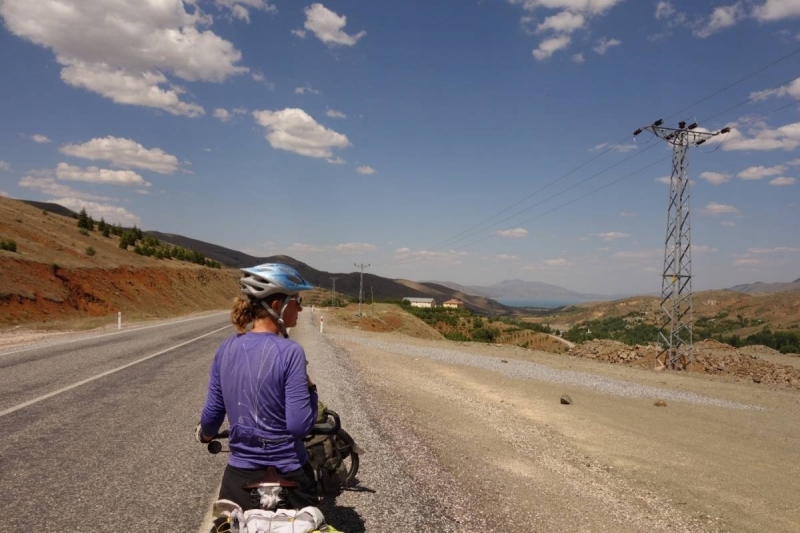 At noon we decided to cycle out of the city in 39 degrees on the way to Mardin. The road went up and up and up very slowly. After 10 days of bicycling everyday and the extra heat it was quite tough. We asked at a small village for water and the family we asked had a English-Turkish dictionary and used it to ask if we needed food. We were okay and needed to find a place to sleep so had to keep going. While setting up camp a guy showed up with his cows and slowly walked down the mountain although the cows were a bit startled to see us. Eventually we rode into Mardin the next day. Mardin is an interesting mix of cultures and history. Christians and Muslims, Turks, Kurds and Assyrians have lived together here for a long time in good harmony. The city has a lot of nice buildings. However our introduction of Mardin started in the outskirts and as beautiful as Mardin is in the center, as ugly as it is in the outskirts. Large ugly apartment buildings, empty and not finished are everywhere until you ascend the hill to the old Mardin. It is really an example of the short term vision of how Turkey is working its own country and we were quite disappointed. We have now been here in Mardin for a few days and it has been nice to relax, Martin watched season 2 of Games of Thrones, Susanne finished reading her first book Shantaram. Days have past quickly and war in Iraq has not settled down as we hoped so we are opting for a route without Iraq this time. Internet is getting less common and soon we enter Iran where it will be even less so please bare with us as we don’t update as regular. Once again, fantastic to follow your adventure! Hope both of you are healthy and strong! Getting pretty close the Iran and Syrian border there! Great read. Take care and enjoy Iran….you should do. I heard its the jewel of the Middle East! Nice to see and read! Wonderful journey. We did the same through Turkey 10 yrs ago and it brings back great memories about how beautiful the landscape was and how nice the people. Remember Elbistan very well. After Malataya we went to on to Syria.. but that was in a different world then..Stay safe!